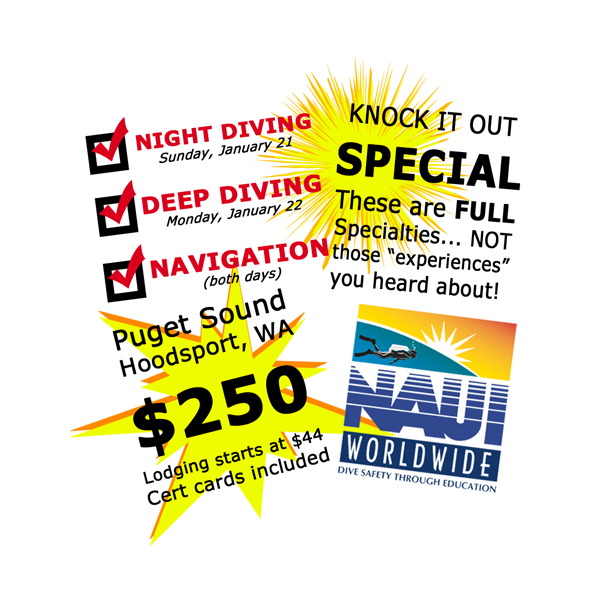 Scuba Diving Certification in Portland, Vancouver, and the PNW: Night, Deep, and Navigation Specialty Spectacular! $250 over 2 days. Get real certifications for real diving experience. 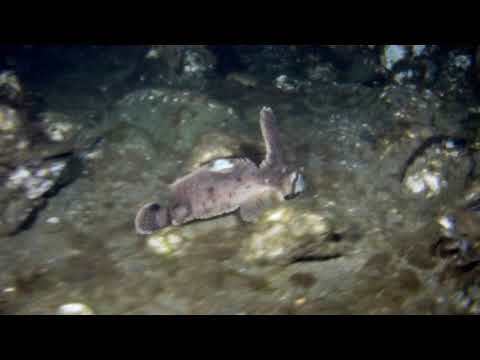 Night, Deep, and Navigation Specialty Spectacular! $250 over 2 days. Get real certifications for real diving experience. These specialties will prepare you for some of the most challenging diving in the Pacific Northwest. NAUI's training is already the highest in the recreational dive industry and I always make sure you get a lot more. Don't settle for an advanced certification that doesn't open up diving opportunities. Only one spot open for the individual looking to bring the new year in with excellence! Includes: Deep, Night, and Navigation. Overnight stay on January 21, 2018 (lodging fee not included but rates start as low as $44). Cert card fees included.